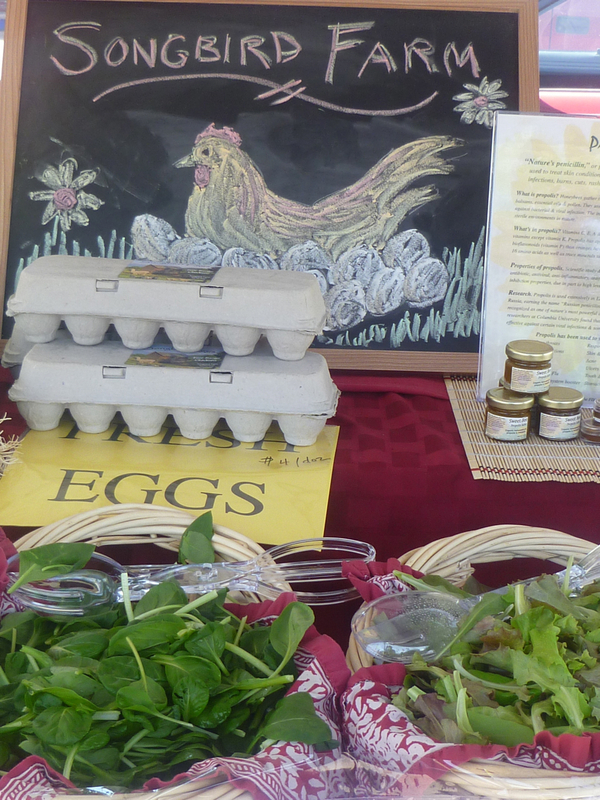 Songbird Farm is a new addition to the Fairmount Neighborhood Farmers Market, selling fresh eggs, basil, salad greens, chard, plant starts, and propolis salve, made from beeswax. 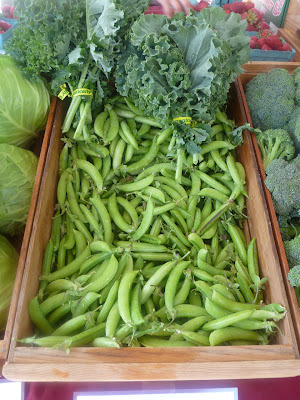 and SLO Farm had these plump, fresh snap peas. 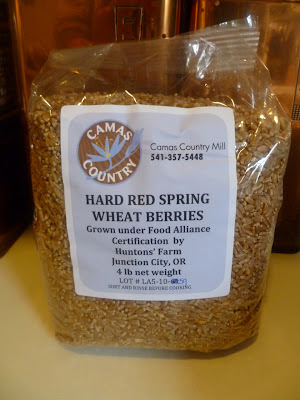 I decided to combine these with wheatberries from Camas Country Mill. I'd never cooked wheatberries before, but they proved to be quite easy, if you just set them simmer about an hour and a half before you plan to eat. 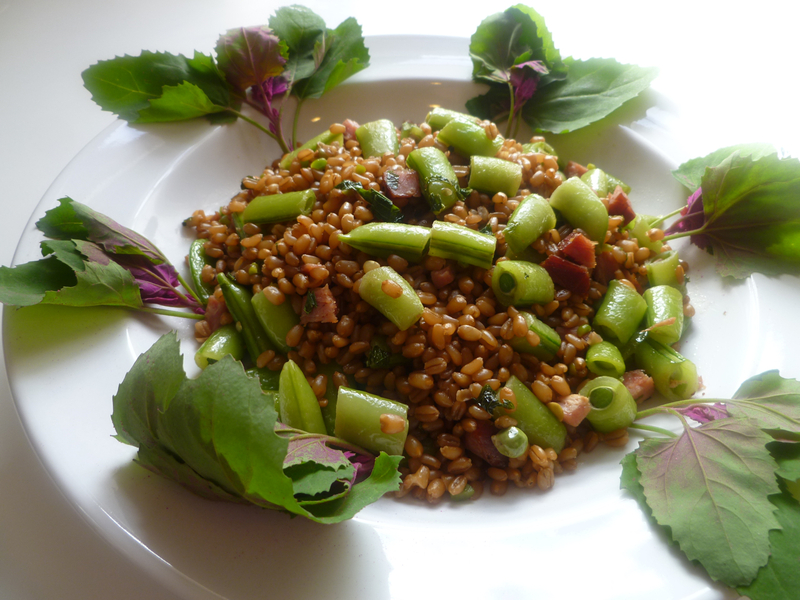 Because I love the combination of peas with ham and mint, I sauteed some cubed ham with sliced snap peas for a few minutes, then stirred in some sliced mint leaves and several scoops of cooked wheat berries, and finished it with a splash of sherry. For a vegetarian version, you could substitute shiitake mushrooms for the ham, or stir in some cubes of feta cheese at the end. The magenta spreen made a colorful garnish for this fresh and filling dish. 1. To cook the wheatberries, combine one cup of grain with two cups of salted water and simmer, covered for one and a quarter hours. Taste for firmness and continue cooking until it reaches the desired consistency, maintaining a firm bite. If there's some water remaining, you can boil it off towards the end with the pot uncovered, or drain the cooked grains in a fine mesh colander. 2. Remove the stems from the snap peas and slice into thirds. Heat the olive oil in a pan, add the ham cubes and saute for a minute. Add the snap peas and saute for about 5 minutes until the snap peas turn more green but before they lose their crunch. Add one cup of cooked wheatberries, reserving the rest for another use. Stir to coat, then add a splash of sherry and let this boil off. 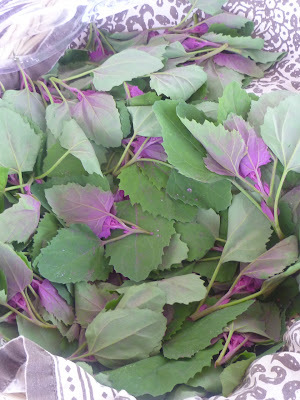 Taste for seasoning and serve warm with a garnish of salad greens. 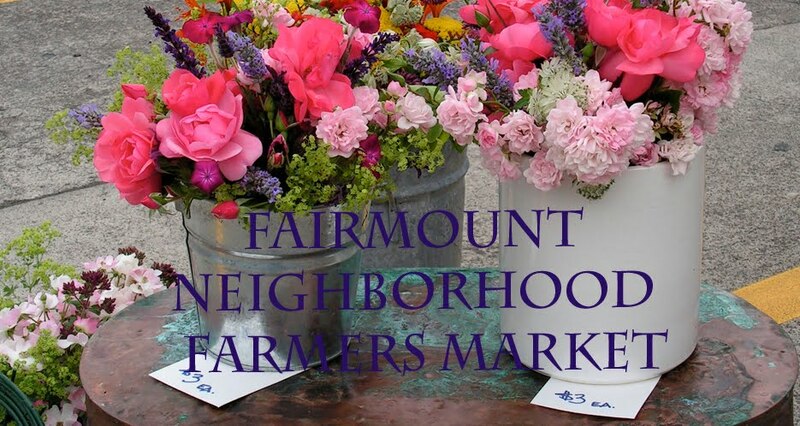 The ninth season of the Fairmount Neighborhood Farmers Market ran from May 27th through October 28, 2018, Sundays, 10 AM to 2 PM, on the Sun Automotive lot on the corner of Agate St. and 19th Ave. The market will reopen in June 2019. For more information about the market, contact Jonah and Amber of Camas Swale Farm at camas.swale.farm@gmail.com. This blog offers cooking ideas and recipes for produce and other foods purchased from vendors at the Fairmount Neighborhood Farmers Market and other local farmers.